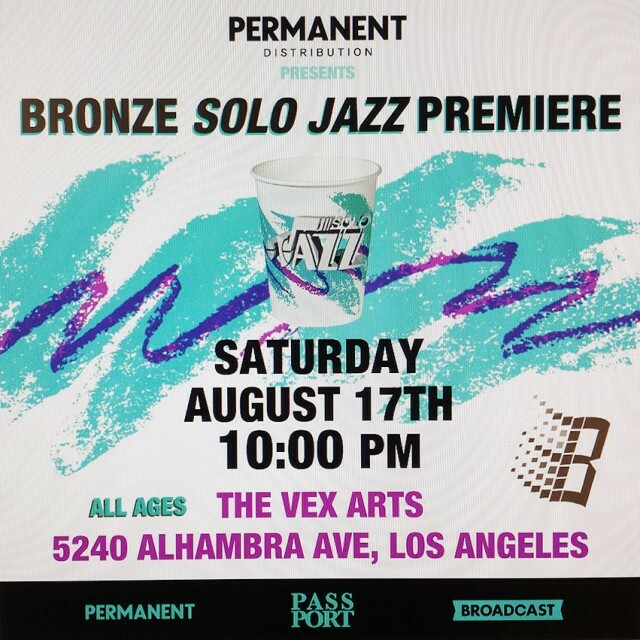 If you’re in the Los Angeles area this weekend, attend the premiere of the newest flick from Bronze, Solo Jazz. The premiere will be held this Saturday, August 17th at The Vex – 5240 Alhambra Ave Los Angeles, CA. RSVP soon as space is limited. Click here for more. Watch the trailer here.